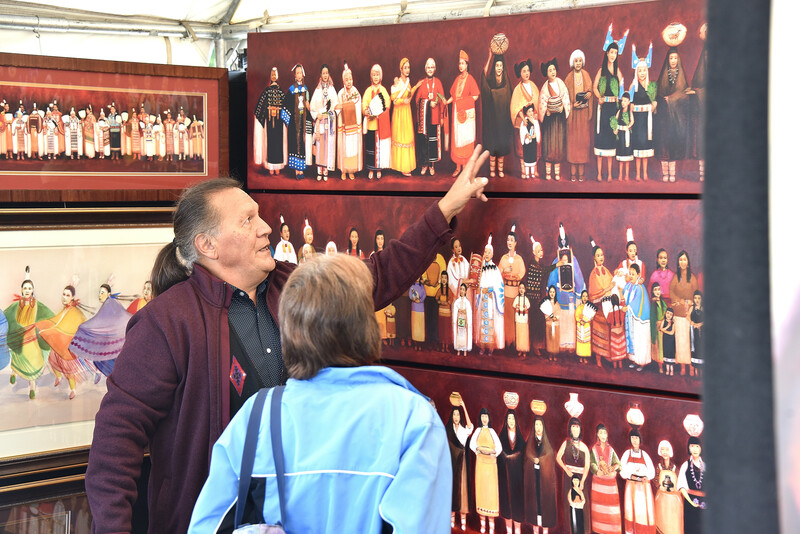 More than 100 Native American artists representing tribal affiliations from across the nation will bring diverse, hand-made original artwork to the invitation-only 27th anniversary Litchfield Park Gathering Saturday andSunday, Jan. 12-13. 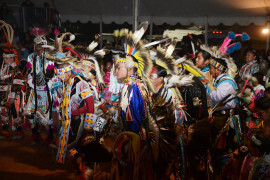 The Festival is free and continues a tradition of celebrating Native American heritage through the arts with active teaching, demonstrations and presentations throughout the weekend. Like a street festival, The Gathering will be in the center of town. Artist booths will line Old Litchfield Road south of Wigwam Blvd as well as across the lawn of the Litchfield Park Library, 101 W. Wigwam Blvd., and on the nearby Gazebo lawn. Festival hours are 10 a.m. to 5 p.m. both days. 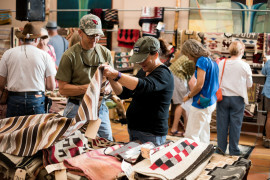 The Gathering features artists and artisans displaying and selling diverse artwork including traditional and contemporary beadwork, clothing, jewelry, paintings and prints, pottery, sculptures and weaving, basketry, carvings and glass art. 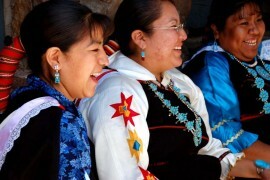 Cultural Arts will be reflected in classical guitar, clothing and Navajo rugs, quilts, rock art, Wampum shells, bows and arrows, sand art, rattles and fetish carvings. A full list of artists and entertainers will be announced prior to The Gathering, which is presented by the City of Litchfield Park with funding, in part, from the Arizona Commission on the Arts, Arizona Office of Tourism and The Wigwam, as well as cooperation from the Heard Museum and the West Valley Arts Council. For more information, visit www. litchfieldparkgathering.com.